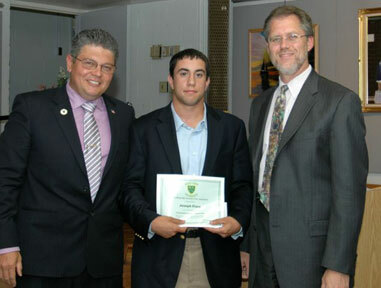 The recipient of the 1st Annual HGCA Scholarship Award was Joseph Fiore. Joseph Fiore is a graduate of Kellenberg Memorial High School. Some of Joe’s achievements include membership in the National Honor Society, Varsity Captain for football and wrestling teams, being a Eucharistic Minister, volunteering for the Big Brother/Big Sister Program, participating in Boy Scout food drives, collecting supplies for troops in Iraq and being a baseball umpire. Joe has accomplished all of this while maintaining a place on the Honor Roll with a 3.7 GPA and is a truly deserving recipient of our scholarship award.